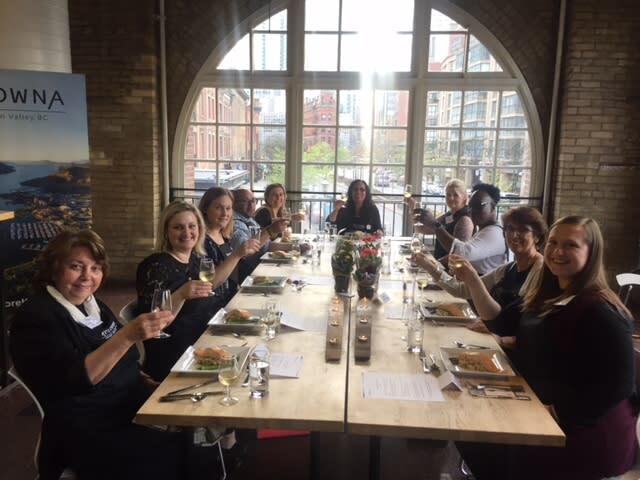 Ten Toronto meeting planners were invited to join Tourism Kelowna&apos;s Business Development Consultant, Pat Gappmayr, in the state-of-the-art kitchen at the St. Lawrence Market Place to cook a Kelowna-inspired recipe, which was paired with Kelowna wines. The wines served were from the following wineries: Mission Hill Family Estate, 50th Parallel Estate Winery, Sandhill Wines, Summerhill Pyramid Winery, and Quails&apos; Gate Estate Winery. The clients invited were a mix of corporate and third-party planners. The evening started off with a presentation by Tourism Kelowna, followed by a viewing of our new meetings video over a Kelowna wine and cheese pairing. Everyone participated in a fun, interactive, team cooking moment to re-create a Kelowna signature dish. The group then took time to dine and enjoy what we had cooked, all while learning about why the corporate business should consider Kelowna for their next Western Canada group meeting. After the event, clients were sent group photos along with the recipes so they could re-create and enjoy the Kelowna menu in the future, keeping Kelowna top of mind for group business in the Toronto Market! 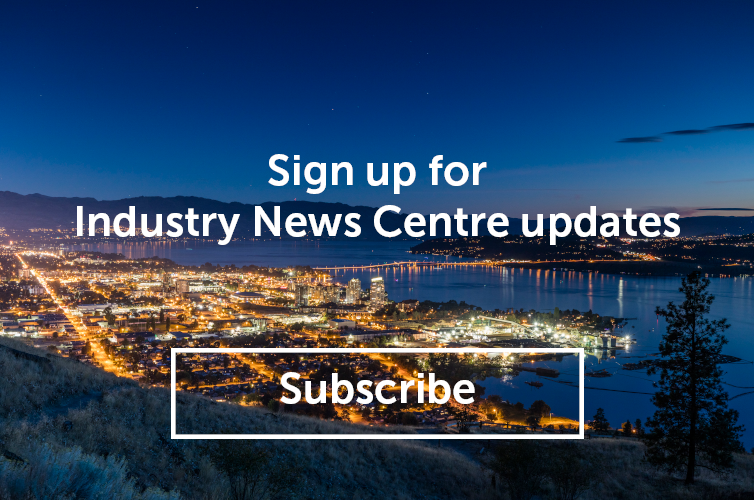 For more information on Tourism Kelowna&apos;s business development in Toronto, contact Pat Gappmayr at pat@tourismkelowna.com or at (416) 265-3464.